Do you want to learn more about 4-H? Do you want to make more friends with similar interests? 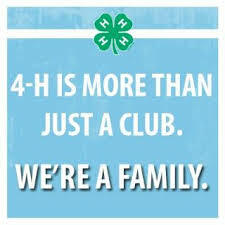 4-H Clubs are for you! In Wilson County, North Carolina, there are quite a few clubs to choose from. Community clubs offer a wide variety of programs during their year. Project clubs focus on one specific program (i.e. Target Sports, Horse, Electric). Take a look at what Wilson County has to offer! For more information or if you have questions, contact Jessica Manning at (252) 237-0113 or jessica_manning@ncsu.edu or Kenyatta L. Dixon at (252) 237-0113 or kenyatta_lanier@ncsu.edu.